I'll think of a decent name at some point. Use this barebones sheet for your students, teachers can be submitted once we have enough students. Add whatever else you feel is needed, have fun you crazy kids. Although considered pretty she tends to appear disinterested and unapproachable. Quirk: Korin is a powerful telekinetic able to create fields which she can manipulate to move or shape objects, or just leave them as fields. Backstory: Korin is the daughter of the pro hero Seismic Storm, one of the most powerful and well known heroes. Although it is known he has a child, he personally has kept it under wraps.. He owns his own hero corporation and is generally popular among the media. If only they knew the truth. Korin constantly dealed with abuse, as her father did everything he could to make sure she would grow up strong as possible. Even inflicting wounds on her as a child. Constantly fighting and training with professional hired trainers , Korin grew cold and pessimistic, due to such a harsh lifestyle with a lack of emotional care. She later decided she would kill her father when she was powerful enough. Now attending a hero school, in which she was accepted due to her impressive results on the test, tearing apart the robots brutally, she begins her years to train to become a hero. Hero costume: Since Korin's quirk has no physical attributes, she prefers to wear something that is all purpose suited for combat. Usually combat leather. Her outfit gives her a tactical stealth-like appearance and comes off as both cool and practical. Her outfit is geared for optimal protection and optimal movement, as well as being black which could have some stealth attributes in the dark, although it is unintended. It's not really loaded with technology but it is practical, all purpose and comfortable. Relationships pre-beginning rp: Do you want our characters to know eachother, have a good reason why they would? PM. "He doesn't look like a hero but i know he got what it takes. -Mrs. Nishimura A.K.A Pro hero Crysis "
Notable info: Standing at a whopping 4'3, and weighs around the ideal weight of his height. Kyosuke is pretty much looks like a kid and often mistaken as one. He pretty much is just your typical frail looking Japanese little boy you'd find anywhere. Borwn hair and crimson red eyes are his first notable features. Often dresses out in smart casual or formal in most occasions (Including sleeping). Born to a crazy rich family. Kyosuke was born with a silver spoon in his mouth. He was given a good life and wealth that one could dream of having. Kyosuke often disregards his rich heritage for he is but a humble child. He always looked up to heroes fighting villains and dreams to become one. Which something his mother agrees since she used to be a Pro hero before she retired to be in exchange of now being just a supportive mother. His father on the other hand does not agree with such for he sees him as the next heir to the family billionaire business. His father always kept telling him to stop such a foolish dream but Kyosuke did not obey, giving his one shot towards the big league. Kyosuke passed the entrance exam with sheer brain creativity alone. Destroying the robots in creative ways like tearing their legs off and cause a domino effect with his quirk. Just as everything was according to plan. A new villain rose up to threaten his family. His father's arch nemesis in business, a hacker villain named "Sh4d0w Butt3rfly of the 3rd" or Shadow butterfly in short had sent a death threat via PM to his laptop. Now he wants to investigate who this villain truly is. *Other than his nerdy child appearance. Kyosuke is known to be very smart. Having the IQ above average for his age. roughly scoring around 145 to 155 Iq points although this isn't the same for his EQ (Emotional quotient) for he still struggles getting a hang of his intuitive nature of thinking. In other words. He often thinks in a analytical matter. *The boy is not limited to using his mind and Quirk for he also utilizes his skill of combining his quirk with his knowledge for kickboxing. His kickboxing skills are actually quite effective, if only he were more physically fit. *Has an allergy for dust, crustaceans and peanuts. Notable info: 3 feet tall, 23 lbs. often wears unnecessary bandages and band-aids. Quirk: basically, a super strong healing factor with no added benefits. her strengths is that she can't really die, but other then that she is as useless on the battlefield as any 5 year old girl, which is her greatest weakness. Backstory: Leii was only 5 when her quirk activated, and it couldn't have activated soon enough. she was in a bank with her mommy when a villain came in to rob the place. he took her hostage and just as a hero came too late to save her, he stabbed her in the chest. luckily her quirk activated and the wound healed instantly. ever since then she has been unable to be harmed for vary long. the deeper the wound the longer it takes to heal, like anyone else, but instead of days to years, her wounds heal in seconds up to about a day for the worst so far (although complete disintegration has never happened, it's possible that within a month her cells could regrow from a single cell, but this is only hypothetical and she has never tested this.) body part removed can be placed in the spot and healed instantly, but once lost after 10 minutes the spot where it was will start to regrow and take a certain amount of minutes depending on how much of it she is regrowing. she defeated the robots by allowing them to attack and mangle her while she was in direct line of fire to other robots. Hero costume: her hero costume is a school girl outfit that is made of mesh fibers that sew themselves back together by constricting in spots where they are torn or cut, but fully severed parts can not sew themselves back. Addition:her drama will be character drama more than anything, as she will have no stake in most fights except the ones where she needs to win to prove something. she will mostly allow other RPers to shine on the battlefield and she will most likely die at almost every major fight. I hope everyone enjoys my slightly goofy character. Nicolas has the ability to mimic matter through physical touch turning his body into solid material and use it in various ways gaining some form of advantage. He can either use it by enhancing himself, gaining the mimicked power, or using it as a conductor/power source. However, the effects for each solid material is different. Should he mimic granite his strength would heavily increase but would drastically decrease his speed while mimicking silver would allow him to conduct electricity and electrify his punches but wouldn't have the same durability as stronger materials. Wood, glass, metals, and even plastic are just a few examples of what he can mimic. He can even turn his body parts into different shapes such as turning his arms into blades and hammers. 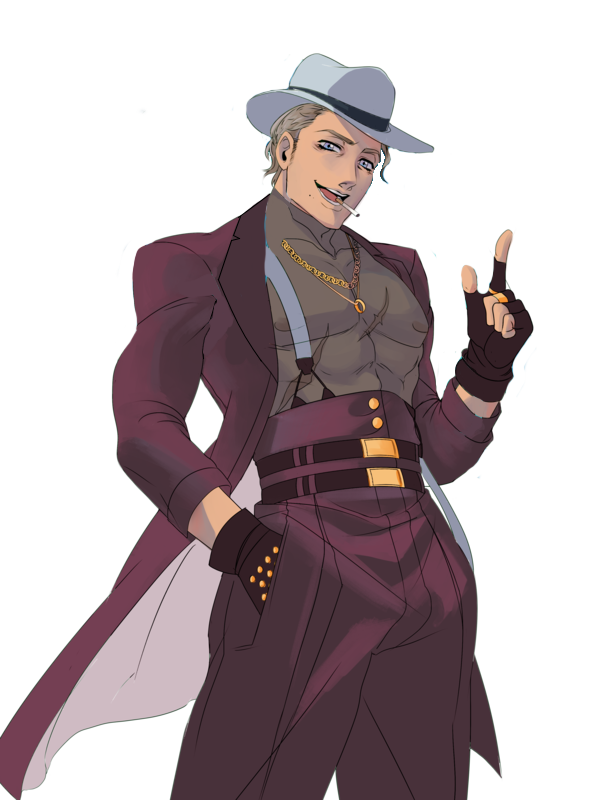 Nicolas can mimic up to three different materials at a time and move them across certain parts of his body depending on which body part requires a certain material to be made for better use. The more material he mimics the more impact on his stamina it has making it hard for him to juggle more then one materiel at a time without risking losing control over his quirk altogether. When knocked out or too heavily exhausted his body will instantly return to normal and must gather back enough stamina to utilize his quirk once more. Like other transformation quirks regarding around defensive measures Nicolas does not possess the stamina that emitter and mutation type quirks have and must measure his stamina over the course of battle to prevent himself from being at a disadvantage. Nicolas was raised in a highly religious home where his family would often deliver prayers multiple times throughout the day. His family was highly respected due to their charity and gatherings throughout society and surprisingly each possessed a dedicated sense of purity that no amount of temptation could overcome. As the third son of the family it was obvious that he needed to meet high expectations set by his elders and attempt to spread the word of their lord as well as provide help to any individual in dire need. He would often serve in his parent's daily soup kitchens and even worked in construction fields to help build shelters for the homeless. All in hopes of helping those that could not help themselves. Though while he did follow in the footsteps of his elders he was sort of a black sheep due to his overwhelming perversion. His usual overwhelming flirtatious acts on women often earned him the usual ear pulling by his mother and the scolding of his brothers and father. Still they loved him nonetheless despite his one impurity and where overjoyed when he decided he would be attending a school meant for training heroes. Though it was well obvious he had more then one reason for joining such an elite school.Nicolas sought out a Hero Academy due to one important reason. Heroes were beloved by all and were treated with such as love and respect due to them forging the bravery to fight the constant threats the flood the cities. Not to mention the epic rampages of fan girls that flock and swoon over their favorite and best looking heroes. Having women flock to him was his dream and most sinful desire. During the entrance exams Nicolas made sure to show off in every way possible around his fellow feminine students. Absorbing the sturdy material throughout the city as well as the material used to make the robots Nicolas smashed through the robots with powerful force, but only in front of ladies of course. Nicolas's costume is a combination of the old Crusades along with being based off his favorite heroes costume. The gloves do not exist in his costume as they would prevent him from physically touching the desired material he wants to mimic. Nicolas's designed it to cover most of his body to essentially prevent enemies from knowing what material is where on his body allowing him a certain element of surprise. His cape is a high density polymerized titanium meant for a number of things such as protection and offering him strong material to mimic should there not be any suitable materials around. "The real world isn't fair, But look! There's a better one, right on the horizon. A shared utopia built by hundreds of creators over decades... a singular linked vision. It's real! I can almost touch it! It's been calling to me! I know that!" -Requires materials to drain in order to increase her size or density which can result in issues should said items be public property. -The only method of removing added mass is through ejecting the mass as a large amount of the gum like substance. -Is unable to absorb elemental attacks with the exception of holding a great resistance to electrical based attacks. Following insistence by her father Lemmy is a highly proficient Boxer having been trained since a early age, Knowledgeable of heroes operations in general given her exposure to her parents Agency. In her spare time she often shown to be highly attune to current fashion as well as even designing tailoring outfits of her own, she also has a fascination with several areas of media in general with a strange definition of what cool and cute entail with some items. Finally she has shown to be extremely convincing when needed, taking talking points, flipping them or getting to the route of issues very quickly likely aided by being capable of extremely fast spontaneous and reactionary thinking despite overall average grades. A towering young woman in her late teens with a well proportioned if extremely curved figure. wrapped in toned muscle especially within her thick legs and a overall hourglass frame. Fine gold hair flows downward past her lower back, whipping around her fair skinned body. As a result of her quirk however her figure, height and weight tends to vary depending on how much mass she retains. Within her costume their face stays hidden behind a pure black half face mask leaving only a full lips held in a confident smile visible. The rest of her costume however leaves little to the imagination, consisting of a tightly fitted black and gold sleeveless swimsuit like outfit with fishnets leaving the majority of her heaving chest, stomach and back visible with a strange metal like clasp for a collar. In addition she also wears full arm length gloves in a similar style and low flat material to serve as shoes. The entire outfit is constructed from a strange polymer resembling leather however with a strange sheen as it has been customized with her quirk in mind. Outside her costume, Lemmy's youthful features are on full display with bright sapphire eyes framed by golden bangs, the rest secured in a loose ponytail to flow downwards in a thick bunch. Dressing far more modest than her costume drawn to more vintage clothing, such as simple white shirts, shorts and suspenders normally with some sort of media reference around. Born along with her twin to a family of heroes of heroes within the Flex Agency, she would grow up relatively happily and engulfed in the world of heroes. It was likely this as well as her high regard for her parents work that she sought to chase the dream of joining them too, however her sister would have different ideas being far more interested in the support route than hero. Nevertheless the two would remain extremely close, even commonly swapping out at times much to the confusion of friends around them. Things would change however following the passing of her father and critically wounding of her mother, the experience jading Alison severely and having them retire as a professional hero. She would have hoped her children would not pursue a similar path yet the dream was already set and could not find it in her to crush it, attempting to support them while hopelessly wish it would come to the same result she had suffered. During the test itself she managed to score fairly well on the written portion, as well as cut a wide swathe through the robots as if more of a game than anything, including restraining the collosal zero pointer shortly before it was effectively suplexed. She is now set to attend the hero academy alongside her sister though on alternate courses, ready to deal with whatever comes her way. Lemmy’s twin sister, passive, sombre and stoic though has a strange warmth and dry wit. She is extremely close to Brady, commonly together with her sister growing up along with the various schemes and plans. Out of everyone it's her sister that keeps her honest and trying to make a better world, the one who believes in them. She however differs in preferring not to go into active hero work as a result of realising her mothers feelings to such, and instead is heading in to the Support Hero Course. 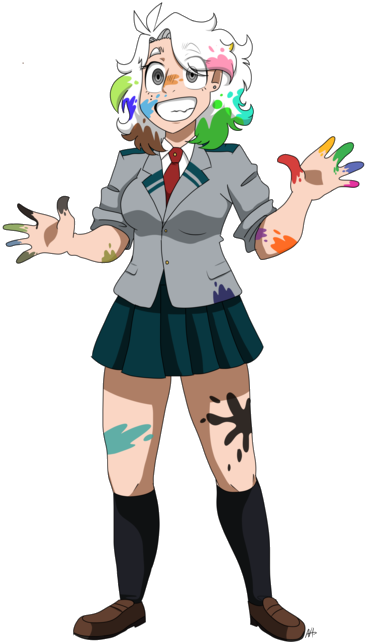 Her Quirk allows her to give items the property of gum either being sticky, elasticated or resistant to electricity. Lemmy’s Mother, Firm, Critical and Protective if somewhat overbearing at times with how she pushes her children to excel. Previously the pro-hero Chuddy , she works as a Gym Teacher and Coach following the death of her husband and severe injuries, even losing a portion of her arm. While attempting to keep her children from the Hero life having grown disillusioned towards it, she can't find it in her to crush that dream and is hoping they come to the realisation before it's too late. Her Quirk allows her to Stretch to impossible degrees and also gains a incredible amount of flexibility. Lemmy’s Father, Fairly easy going if flamboyant and theatrical, despite his status as a pro hero he managed to balance both hero and family life until his passing. He was fairly successful and close to reaching the Top 10 before his life was cut short following buying time for others to heroes to arrive in a major villian attack 5 Years ago. He managed to defeat several of the Roxon Group before confronting the leader known only as Tox and succumbing shortly after from poisoning. His quirk allowed him to turn items touched into a putty like substance and sculpt them as desired be it person or item. Friedas quirk allows her to produce and manipulate vast amounts of various pigment and dyes/inks via the secretions of her skin and body fluids, the full spectrum of colors to be deployed in various quantities. The amount of produced is increased vastly with the users stress levels and emotions, often resulting in unconscious use though to a far more minimal effect. With sufficient training it may be possible for Palette to produce additional effects though the exact nature of the ability is still being explored, one thing that is notable is that compared to others, her body seems clean far easier when removing the multiple stains, often requiring only a rough pad and hot water to be restored to a clean state….until stained once more of course. Excessive use of her quirk however can cause both dehydration as well as her body losing its color. On the surface Frieda is your average japanese student, her grades are not particularly outstanding and she appears to have more fears than you can count. Physically she can be extremely fast and good at hiding given the right motivation, though such is seen more as frantic scrambling albeit with remarkable endurance. 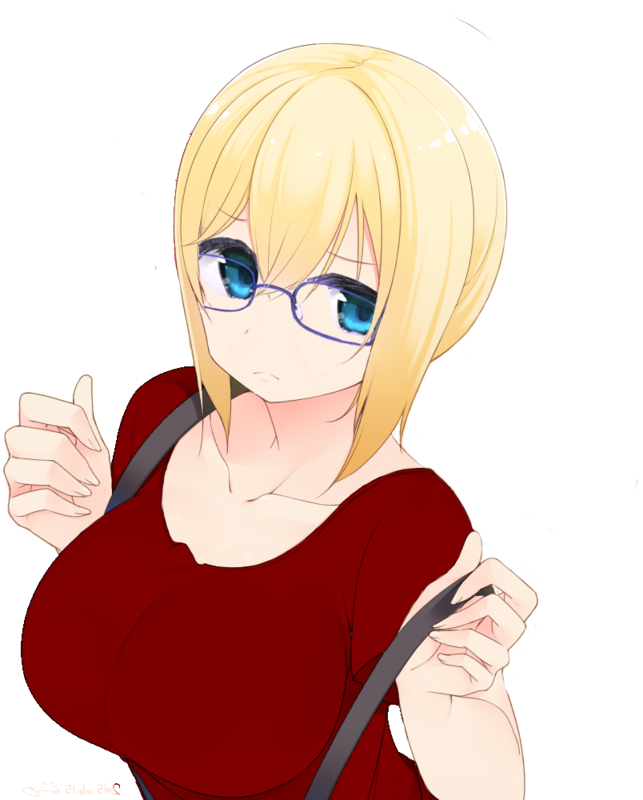 She does however seem to have a vast knowledge and talent on various artistic,gaming and media related subjects, keeping up on pop culture to almost Neet levels. Her greatest achievement is the completion of over 50 simulated high school lives and dating over 100 virtual boys, believing such may make her somewhat, maybe, kinda ready for her first year of hero school. One thing of particular note that has been noticed by those in her teachers is that despite her innate fears, she seems to always return and try again, helping out those she can regardless to mixed effect, even if she herself is confused as to the reason. A fair skinned short girl with large silver eyes and wild unkempt white hair worn down to her neck. Her face seems to almost constantly be in some state of stress, nervousness, embarrassment, frantic or panic along with a ever present manic grin and gestures. Her eyes themselves can have some visible dark purple shadows below them when not covered in pigments showing a distinct lack of sleep. Her body seems to be almost constantly secreting some sort of paint or dye resulting in the multitude stains across her body, odd drips coming from her fingers, tears and more in a rainbow mix of colors. Her habit of grabbing her hair in particular results in a wide array of such colors mixed within her hair. Frieda can sometimes have a grim outlook on life - so much that during a daydream she imagines herself performing her dreams, only to crash and end up in the hospital as the worst is never far from her mind. She has attempted become popular by coming up with ideas on how to get attention, though this usually either fails or receives negative attention. She often lacks a "filter" in that she will say what she thinks without considering the consequences leading to extremely bizarre or inappropriate requests/statements at times. Her awkward behaviour can appear odd or even perverted to others, overreacting to small things, likely fueled further by her imagination, to the point of planning excessively how to bypass what would otherwise be the most mundane of issues. Her actual experience in social interactions is somewhat limited, being practically non existent other than what has been viewed through games or the internet. Frieda will sometimes blurt out what she is thinking especially if she thinks it will make her appear cool and mature, usually with little grasp on the consequences until shortly after such has been stated. Frieda had started off excited about gradeschool school, though after going for a few months and the extreme nervousness from interactions that came, combined with the constant mishaps and negative attention at trying to be popular and fit in quickly reversed such a thing. Regularly ending out on the bottom rung from either the mess her quirk would produce, getting herself caught up in the bullys attentions and of course her own misunderstands or failed attempts at changing her current status. It did not help that financial struggles where a common thing in her home life, sure they had Internet Access and the odd second hand electronics but it did commonly require her to get creative in earning money herself. She believes however if she could become a hero she could be popular, maybe learn to not mess stuff up as much as well and of course help out her family if she gets the money typical heroes seem to get. It seems a fool proof plan, which means its likely going to go up in flames in a 20 car pileup by the end of it, but she has to try regardless. She was always a girl who tended to run towards her fears, return to the hard things, and try again even if she screws them up, Since in the end the world that seems against her needs to stop her every time, she just needs to succeed once. Despite all the odds she somehow even passed the entrance exam, The written exam difficult to mark due to the excess of ink stains across the sheets followed by the practical, much to the confusion of those around her with a series of what seemed like unintended side effect to bumbling and panic, Slips on paint, Blinding, LOTS of running and panicking. Shortly before she was getting a considerable amount of sour looks from other participants covered in paint and various colors and running for her life once more. Technically she somehow manged to take down a respectable number of robots and even cause distractions saving others from harm...yet there was much debate amoung the teachers over how much was blind luck and how much was deliberate. Hiseki is a happy go lucky girl who wants to help people as much as she can. She tends to have trouble saying no to people, and she can be somewhat of a pushover. Growing up without her parents support made her search for acceptance from other people. She just wants to feel accepted and that she means something. Her parents are both full on mummies (stiff bodies, wrapped up head to toe in wrap) so it was a miracle that she was born looking human (hence her first name). Her quirk came to her when she was six, which was late considering quirks mostly turn up around the age of four. She wanted to be a hero as she grew up, but her parents always told her she wasn’t good enough. She never gave up the dream though, and when it was time to choose a school she went against her parents wishes and applied to a hero school anyways. She passed the entrance exam by wrapping her bandages around the robots and crushing their heads and limbs with debris and rocks she found around. Whenever she saw an injured particapant she offered to heal them, which earned her quite a few rescue points. She likes helping others, hard strawberry candies, cold weather, and sleep. She dislikes geography, zucchini, routines, and being woken up. She can grow thick bandages out of her body on will. She can control them like limbs. They are strong enough to pick up 20 pound objects, and they can tie around a person to keep them from running away. When the bandages are wrapped around a wound it speeds up the healing process. Depending on how serious the injury is and how much energy she has healing will take longer unless she uses more energy. How many bandages she can create depends on how much fiber and water she drinks. She wont be able to grow any more once she uses up all of it. She can heal multiple people at once, but it'll cause her to get dizzy and there's a good chance she could overwork herself and pass out. She can demobilize an opponent by wrapping her bandages around them. She can pick up small objects with them to throw. She can heal her own injuries while she's attacking. How strong and thick her bandages are depend on how much iron and calcium she has so her bandages can become bullet proof. Later along the line she will be able to create fire resistant wrap, and create more without having to eat as much. Her bandages can get wet and become less effective, or slip off easy. Her bandages can be burnt off. If an enemy has a sharp weapon they can cut through the bandages before they can wrap around them. She can't grow her bandages out of places that are covered by clothes or other bandages. If someone takes away her scissors she wont be able to cut her own wrap off because it's too thick to rip. 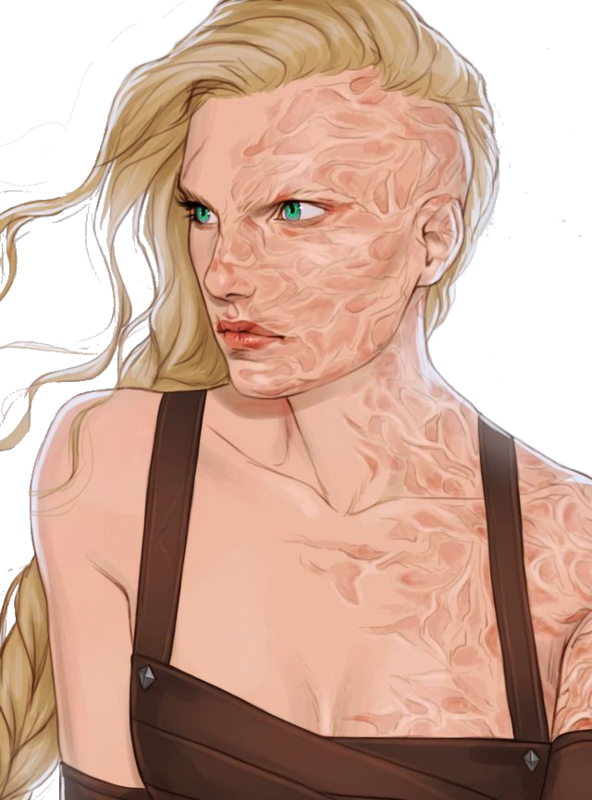 Once she grows the bandages they cant go back into her skin. She's easy to manipulate. Her hero outfit consists of a white apron over a light pink button up short sleeve shirt paired with a light blue pleated skirt with shorts underneath. She has a white pouch strapped around her right thigh to carry a few pairs of scissors, and a little bag of almonds in case she runs out of fiber.